Dr David Mantle, nutritional adviser at Pharma Nord, discusses the importance of vitamin D to health in an older person. Deficiencies in important vitamins and minerals are increasingly common in modern-day societies for a variety of reasons. A reliance on processed and convenience foods means our diet often lacks the key nutrients our bodies need. Cooking can also deplete vital vitamins and minerals from foods. As examples, vitamin C and chromium are easily destroyed by food cooking and processing. In fresh foods, intensive farming practices have resulted in the decrease of a number of important vitamins and minerals since the 1940s, including zinc and magnesium. Nutrient levels can also be affected by geography. For example, there is a huge variation in the levels of selenium in soils across the world, placing people in the UK at greater risk of deficiency. The average person in Britain gets just 31mcg per day from a normal diet, while people in Venezuela get around 350mcg per day. Selenium is found in foods such as Brazil nuts, oysters, chicken, fish and mushrooms. As people age, their ability to absorb essential nutrients from the digestive tract, or to synthesise nutrients within the body decreases. Older people are at increased risk of deficiencies in a wide range of essential nutrients, particularly vitamin D, the B vitamins and magnesium. As we live in an ageing society – around 10 million people in the UK now over the age of 65 – it’s more important than ever that we discuss potential deficiencies and ways to help prevent them. Vitamin D is mainly produced in the skin during exposure to strong sunlight. It can also be found in small quantities in foods such as egg yolks, milk or yoghurt fortified with vitamin D and beef. Vitamin D is particularly important for maintaining healthy bones and teeth. Without it, calcium cannot be effectively absorbed by the body. A deficiency in vitamin D can result in bone and muscle pain, poor bone mineralisation (softer bones) and a greater risk of osteoporosis and fractures as we age. Research has shown that one in three women and one in five men over the age of 50 will suffer from bone fractures resulting from poor bone health. Vitamin D is also important for immune health. In fact, vitamin D3, which is the form produced naturally in the skin, may be more effective than vitamin C for boosting immunity. Studies in Finland and Japan showed that adults and children who had adequate vitamin D levels were less likely to suffer from respiratory illnesses. This could be because vitamin D stimulates the cells of the immune system which provide the body with a natural defence against infection. Recent research has shown vitamin D is also important for the normal functioning of the cardiovascular, respiratory, digestive and neurological systems. Why does deficiency of vitamin D occur? Many people in the UK are deficient in vitamin D, with the highest rates of deficiency found in Scotland, Northern England and Northern Ireland, due to limited sun exposure. A recent survey by Pharma Nord involving 650 UK adults suggests that our “indoor culture” could be placing many of us at risk of vitamin D deficiency. One third of those surveyed admitted to spending less than an hour per day outdoors.A further 50% spend less than two hours per day outdoors, while just 5% spend more than four hours outside. Those who follow a strict vegan diet also risk deficiency because many of the food sources are animal-based. If you or a friend or relative are feeling low they could be in need of a vitamin D boost. There are links between vitamin D deficiency and seasonal affective disorder (SAD), a form of depression that usually begins in the autumn and continues throughout the winter months. Symptoms can include feeling sad or anxious, fatigue, concentration problems, irritability and feelings of guilt and hopelessness. Although its exact cause is unclear, numerous studies have suggested that the condition may be triggered by a lack of sunlight. A lack of vitamin D is also associated with poor immune health, susceptibility to colds and flu and tiredness and fatigue. In the Pharma Nord survey, more than half of respondents admitted they often feel tired and regularly catch colds and flu, suggesting a need for greater vitamin D intake. What can we do to increase our vitamin D intake? The National Institute of Clinical Excellence (NICE) estimates that more than 10 million people in the UK are deficient in vitamin D. Many nutritional experts recommend a daily intake of at least 800 IU of vitamin D.
Around 90 per cent of our vitamin D intake must come from the sunshine, but to help top up your levels you could try eating foods fortified with vitamin D such as milk and yoghurt. 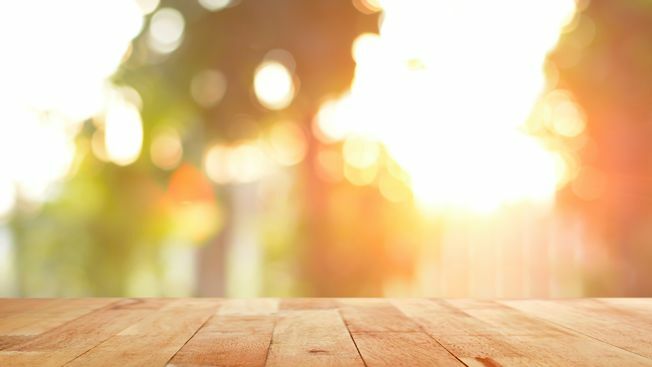 Otherwise, spending time outside on a bright summer day can enable the body to make 5000 IU of vitamin D.
However, that’s not always possible, so many people are turning to supplements as a way to ensure they get enough of this important vitamin. When choosing a vitamin D supplement, look for vitamin D3 (cholecalciferol) as it’s identical to the form produced naturally in the skin. Vitamin D is an oil-soluble vitamin so we recommend you try to avoid dry, chalky tablets as they are less easily absorbed by the body. Visit www.multivits.co.uk and use discount code VITD15 to receive 15% off Pharma Nord’s Bio-Vitamin D3. Offer expires on 31st December 2015. For a regular update on our latest articles and free access to our guides, simply join the family. Click on the box below to register for our newsletter.